We’re kicking off the year with a bang, Pint Jockeys. This Thursday’s tasting events are sure to impress with stacked line-ups from three of your favorite Texas brewers plus special appearances from the brewers themselves at all three of our tasting locations. Plus, we’re keeping the party going at three different Pint Nights after the tastings. Read on for all the details. 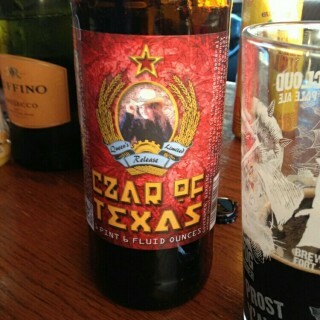 Czar of Texas – A Russian Imperial Stout, this ale pours an opaque brown-black with a heavy, cinnamon-brown head. The beer is extremely well balanced and in true Imperial Stout fashion, is packed with intensely malty, deeply roasted and fruity flavors. With the perfect level of intensity on the tongue, Czar packs both smoky and savory elements including baking chocolate, dried fruit and vanilla with a restrained sweetness that leads to a long and dry finish. After the tasting, Texas City folks are invited to join us on the seawall at Beerfoot Beach Bar who is releasing their latest creation this Thursday. It’s an amber lager, and some of us Pint jockeys got to hang out with the Beerfoot Brew crew when they were making it. We can’t wait to try it. 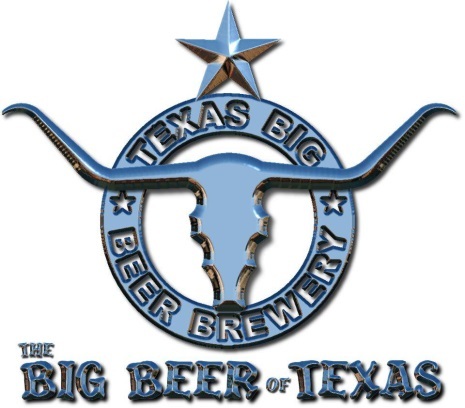 Special guests Johnny Max and Tammy “The Queen” McKissack will head there with us to tap their Big Texas Blonde and Czar of Texas and hand out Texas Big Beer Brewery glasses, while they last. Stay tuned for your post-tasting event details, Victoria. We’ll post them on Facebook as soon as they’re confirmed! Bombshell Blonde – Brewed with American Pale and Vienna malts that combine to give this brew its distinctive smooth, creamy body. Just enough hops are added to this rich, golden-colored ale to perfectly balance its bready finish. Fermented at a cool temperature to give a clean finish. Le Mort Vivant – This seasonal, French-style beir de garde is rustic, malty and complex. 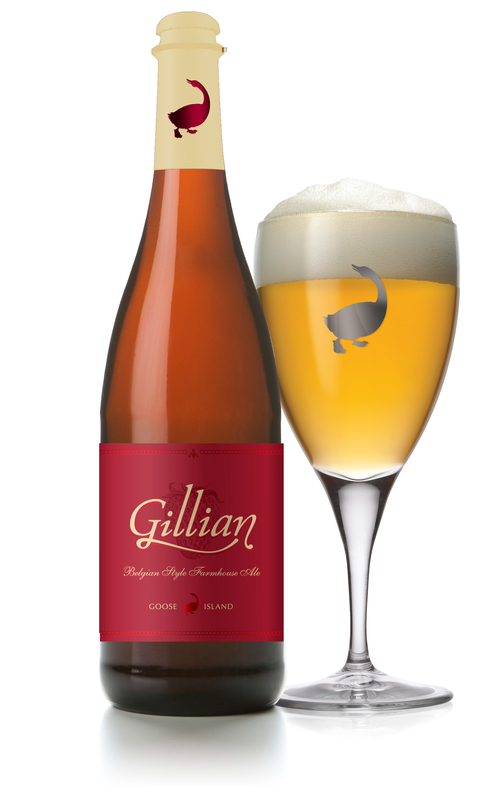 The ale displays subtle notes of baked apples and stewed pears in the nose and flavor. Hints of anise and delicate spice flavors accompany Saaz and Strisslespalt malts for a malty, satisfying finish. Pro-Am 2013 Red Rye – This year’s Pro-Am is dominated by rye and caramel flavors. 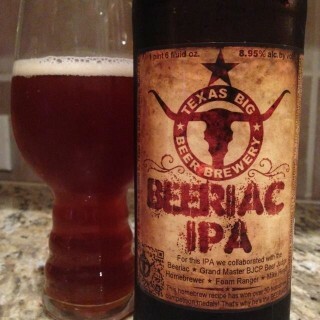 The color is a deep hazy copper/red and the aroma is spicy rye and complex malt with earthy hops coming in second. Slight brandy like alcohol notes are detectable as the beer warms. Tastes of rye, caramel, spice and distinct stonefruit accompany a medium mouthfeel and carbonation. Pine Belt Pale Ale – This American Pale Ale pours a deep copper color with a substantial malt backbone accented with British crystal malts with aggressive hop bitterness and substantial American hop flavor and aroma. The yeast profile is neutral, incorporating Galena, CTZ and Horizon hops and California Ale yeast. Valkyrie – This Double IPA pours a pungently hoppy deep copper ale, taking its influence from the hop loving city of San Diego California where the hop varieties of the Pacific Northwest reign supreme. With two hop additions, copious amounts of Simcoe and Centennial hops give an aroma of marmalade jam and tangerine zest masking the 9.5% ABV underneath. On the palate the beer is dry but contains enough malt character to balance the dominant flavors of ripe grapefruit and candied citrus, finishing with a slight spiciness from the Columbus hops. 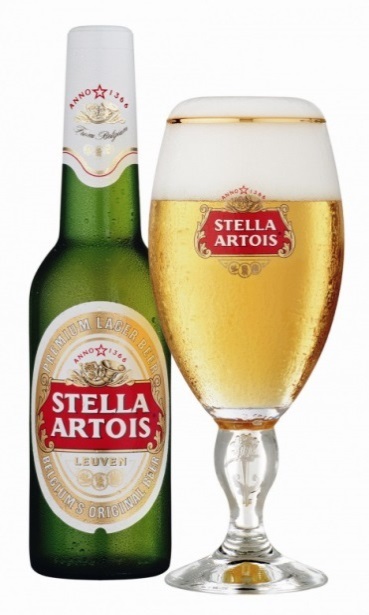 Clean and crisp, hoppy yet deceptively balanced. Ancestor Rauchbier – A smoked Lager in the style popular in the Franconia Region of Germany around the city of Bamberg, this ale pours a copper hue with an aroma of subtle yet complex campfire smoke and embers. The finish is balanced with a full-body malt flavor and hop bitterness. Buried Hatchet Stout – This stout is dark brown in color with monster smells of coffee and chocolate. 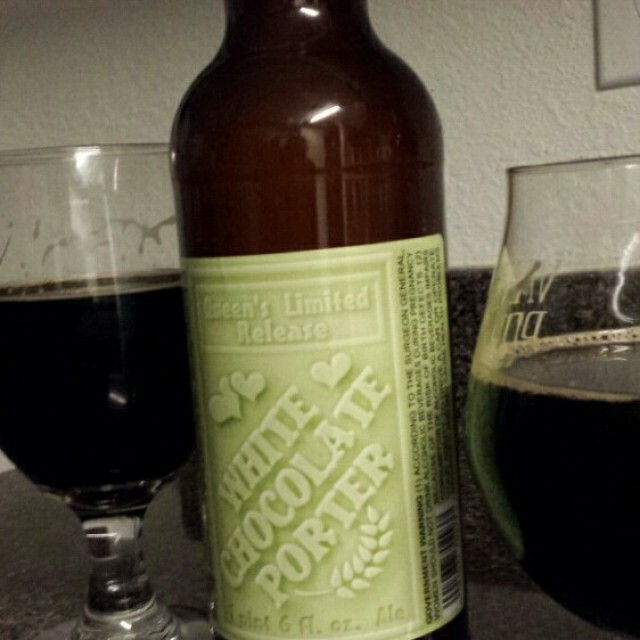 The taste is much of the same, with hints of creamy toffee and roasted malt. Smooth and delicious, this medium bodied ale is all about the malts, but has enough hop bitterness to be balanced. After the main event, join Mr. Fougeron, the rest of the Southern Star Brewing Co. crew and your fellow Pint Jockeys at Madison’s On Dowlen for an all-Southern Star Brewing Co. tap takeover. Phew – that’s a lot of info. and a lot to look forward to, Pint Jockeys! We could use a cold one after that. We’ll see you this Thursday – CHEERS! This Queen’s Limited Release from the folks at Texas BIG Beer Brewery in Buna is out on shelves now and we recommend that you pick some up before it’s as good as gone because we’re telling ya – it lives up to its royal name. 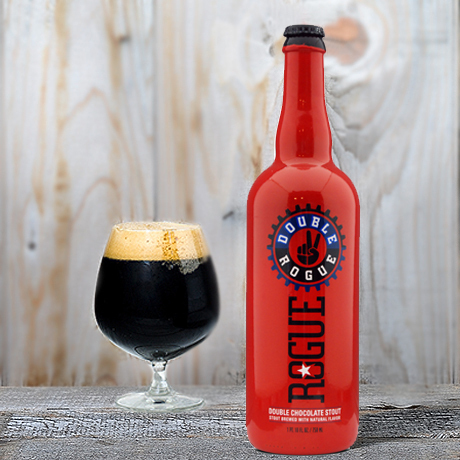 A Russian Imperial Stout, this ale pours an opaque brown-black with a heavy, cinnamon-brown head. The beer is extremely well balanced and in true Imperial Stout fashion, is packed with intensely malty, deeply roasted and fruity flavors. With the perfect level of intensity on the tongue, Czar packs both smoky and savory elements including baking chocolate, dried fruit and vanilla with a restrained sweetness that leads to a long and dry finish. The strong nose incorporates decadent notes of molasses, fig, spice, black tea, vanilla and wood, adding to the luxurious sensory experience for the drinker. 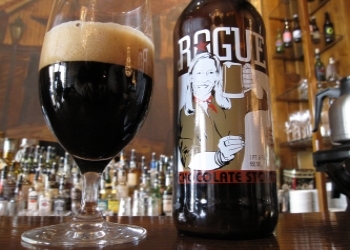 Looking for a beer to impress your fellow New Year’s Eve revelers tonight? This is it. Want to enjoy something new tomorrow as you kick off 2014? This is just the stuff to do it with. 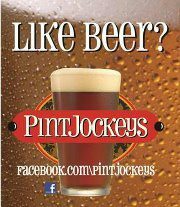 Cheers to a great year full of great craft beer, Pint Jockeys! We’ll see you back next Tuesday with our first Texas Tuesday pick of 2014.